Women applicants have a 19% chance of being eliminated from consideration for a job after a recruiter screen and 30% after an onsite interview, leading to a massive loss of brainpower and insight every company needs to grow. It’s time the hiring process gets smarter, more infused with contextual intelligence, insight, evaluating candidates on their mastery of needed skills rather than judging candidates on resumes that reflect what they’ve achieved in the past. Enriching the hiring process with greater machine learning-based contextual intelligence finds the candidates who are exceptional and have the intellectual skills to contribute beyond hiring managers’ expectations. Machine learning algorithms can also remove any ethic- and gender-specific identification of a candidate and have them evaluated purely on expertise, experiences, merit, and skills. 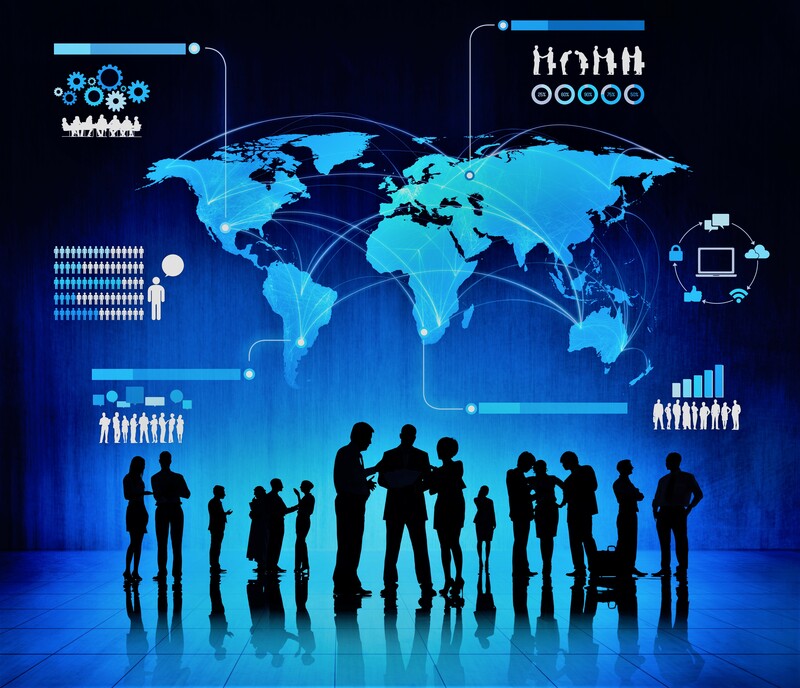 The hiring process relied on globally today hasn’t changed in over 500 years. From Leonardo da Vinci’s handwritten resume from 1482, which reflects his ability to build bridges and support warfare versus the genius behind Mona Lisa, Last Supper, Vitruvian Man, and a myriad of scientific discoveries and inventions that modernized the world, the approach job seekers take for pursuing new positions has stubbornly defied innovation. ATS apps and platforms classify inbound resumes and provide rankings of candidates based on just a small glimpse of their skills seen on a resume. When what’s needed is an insight into which managerial, leadership and technical skills & strengths any given candidate is attaining mastery of and at what pace. 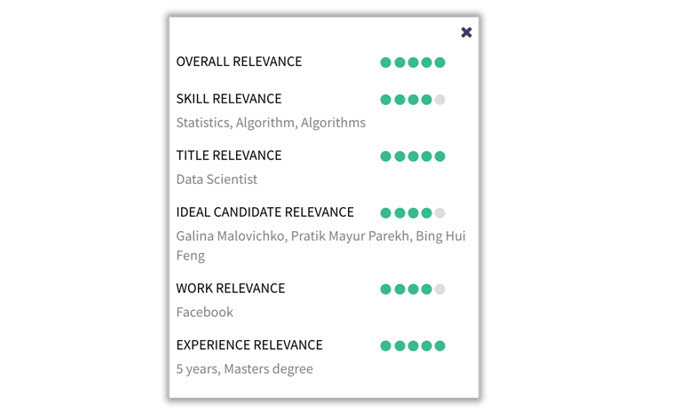 Machine learning broadens the scope of what hiring companies can see in candidates by moving beyond the barriers of their resumes. Better hiring decisions are being made, and the Return on Investment (ROI) drastically improves by strengthening hiring decisions with greater intelligence. Key metrics including time-to-hire, cost-to-hire, retention rates, and performance all will improve when greater contextual intelligence is relied on. Last week I had the opportunity to speak with the Vice President of Human Resources for one of the leading technology think tanks globally. He’s focusing on hundreds of technical professionals his organization needs in six months, 12 months and over a year from now to staff exciting new research projects that will deliver valuable Intellectual Property (IP) including patents and new products. Their approach begins by seeking to understand the profiles and core strengths of current high performers, then seek out matches with ideal candidates in their community of applicants and the broader technology community. Machine learning algorithms are perfectly suited for completing the needed comparative analysis of high performer’s capabilities and those of candidates, whose entire digital persona is taken into account when comparisons are being completed. 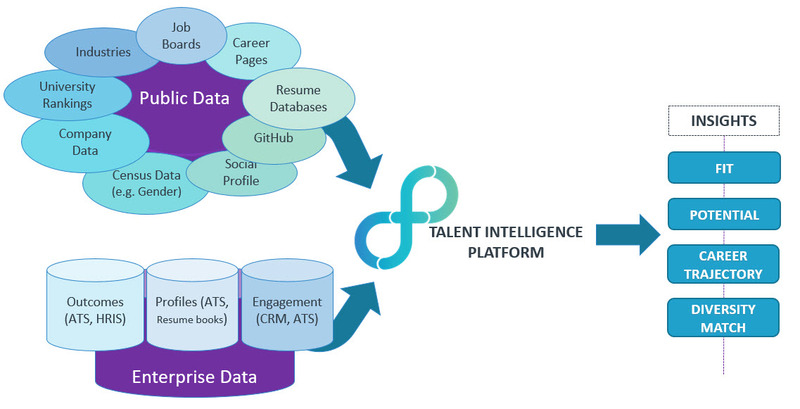 The following graphic illustrates the eightfold.ai Talent Intelligence Platform (TIP), illustrating how integrated it is with publicly available data, internal data repositories, Human Capital Resource Management (HRM) systems, ATS tools. Please click on the graphic to expand it for easier reading. 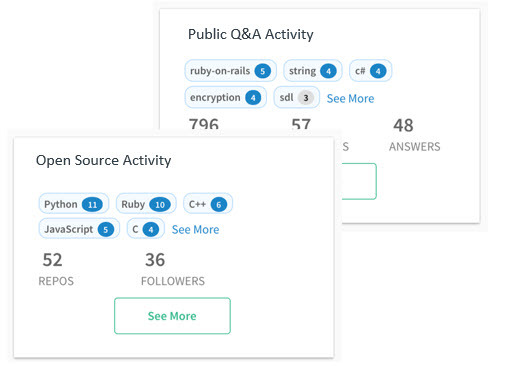 Social Following On Public Sites – Provides a real-time glimpse into the candidate’s activity on Github, Open Stack, and other sites where technical professionals can share their expertise. This also provides insight into how others perceive their contributions. Highlights Of Background That Is Relevant To Job(s) Under Review Provides the most relevant data from the candidate’s history in the profile so recruiters and managers can more easily understand their strengths. The key is understanding the context in which a candidate’s capabilities are being evaluated. And a 2-page resume will never give enough latitude to the candidate to cover all bases. For medium to large companies – doing this accurately and quickly is a daunting task if done manually – across all roles, all the geographies, all the candidates sourced, all the candidates applying online, university recruiting, re-skilling inside the company, internal mobility for existing employees, and across all recruitment channels. This is where machine learning can be an ally to the recruiter, hiring manager, and the candidate. Reducing the costs and time-to-hire, increasing the quality of hires and staffing new initiatives with the highest quality talent possible all fuels solid revenue growth. Relying on resumes alone is like being on a bad Skype call where you only hear every tenth word in the conversation. Using machine learning-based approaches brings greater acuity, clarity, and visibility into hiring decisions. Resumes are like rearview mirrors that primarily reflect the past. What needed is more of a focus on where someone is going, why (what motivates them) and what are they fascinated with and learning about on their own. Resumes are rearview mirrors and what’s needed is an intelligent heads-up display of what their future will look like based on present interests and talent. By relying on a 500+-year-old process, there’s no way of knowing what skills, technologies and training a candidate is gaining momentum in. The depth and extent of mastery in specific areas aren’t reflected in the structure of resumes. 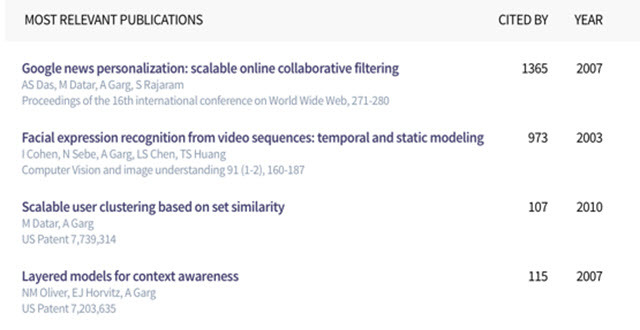 By integrating multiple sources of data into a unified view of a candidate, it’s possible to see what areas they are growing the quickest in from a professional development standpoint. It’s impossible to game a machine learning algorithm that takes into account all digital data available on a candidate, while resumes have a credibility issue. Anyone who has hired subordinates, staff, and been involved in hiring decisions has faced the disappointment of finding out a promising candidate lied on a resume. It’s a huge let-down. Resumes get often gamed with one recruiter saying at least 60% of resumes have exaggerations and in some cases lies on them. Taking all data into account using a platform like TIP shows the true candidate and their actual skills. It’s time to take a more data-driven approach to diversity that removes unconscious biases. Resumes today immediately carry inherent biases in them. Recruiter, hiring managers and final interview groups of senior managers draw their unconscious biases based on a person’s name, gender, age, appearance, schools they attended and more. It’s more effective to know their skills, strengths, core areas of intelligence, all of which are better predictors of job performance. Reduces the risk of making a bad hire that will churn out of the organization fast. Ultimately everyone hires based in part on their best judgment and in part on their often unconscious biases. It’s human nature. With more data the probability of making a bad hire is reduced, reducing the risk of churning through a new hire and costing thousands of dollars to hire then replace them. 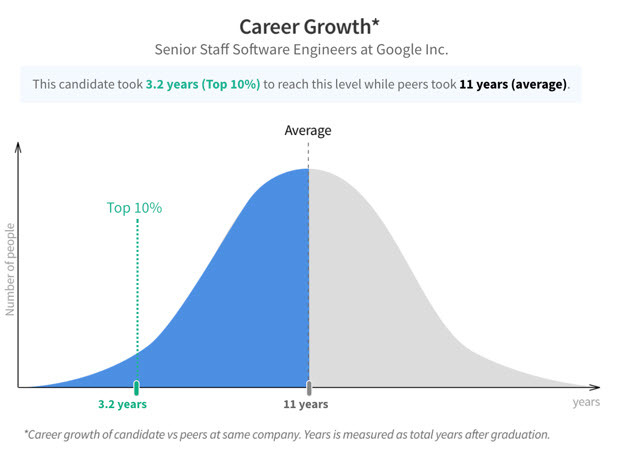 Having greater contextual intelligence reduces the downside risks of hiring, removes biases by showing with solid data just how much a person is qualified or not for a role, and verifies their background strengths, skills, and achievements. Factors contributing to unconscious biases including gender, race, age or any other factors can be removed from profiles, so candidates are evaluated only on their potential to excel in the roles they are being considered for. Bottom line: It’s time to revolutionize resumes and hiring processes, moving them into the 21st century by redefining them with greater contextual intelligence and insight enabled by machine learning.